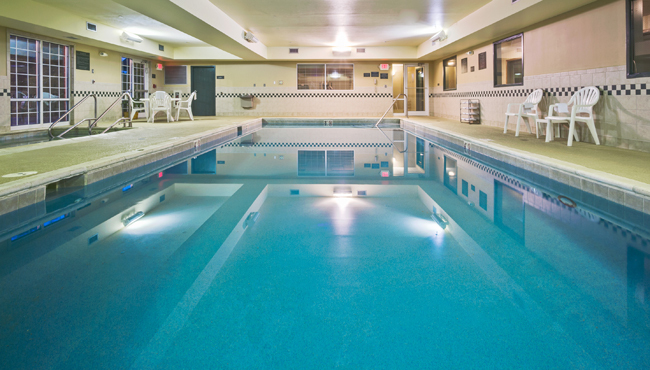 At the Country Inn & Suites in Tinley Park, you can spend your downtime browsing the Web with free Wi-Fi, unwinding with a swim in our indoor pool or de-stressing with a soak in the hot tub. For guests who enjoy a good book, our Read It & Return Lending LibrarySM offers a great selection of volumes to pass the time and help you relax. You can even snag a complimentary cup of coffee or tea and a cookie to enjoy while you read. 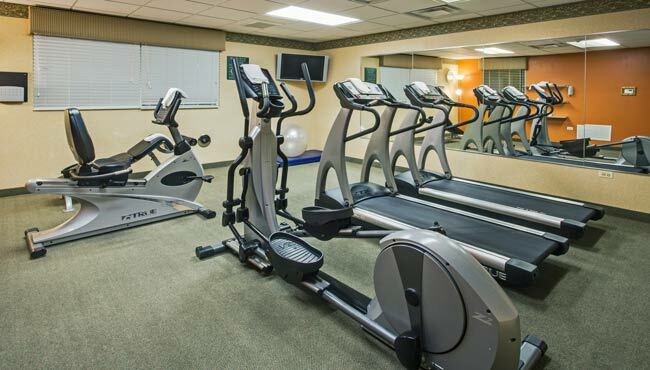 The hotel is happy to provide you, at no charge, with personal items you may have forgotten, depleted or were simply unable to bring on the airplane. These items include deodorant, combs, hair dryers, hand lotion, razors, shaving cream, shower caps, toothpaste, hair conditioner, sewing kits, stationery, toothbrushes, decaffeinated coffee, feminine products and hair spray.